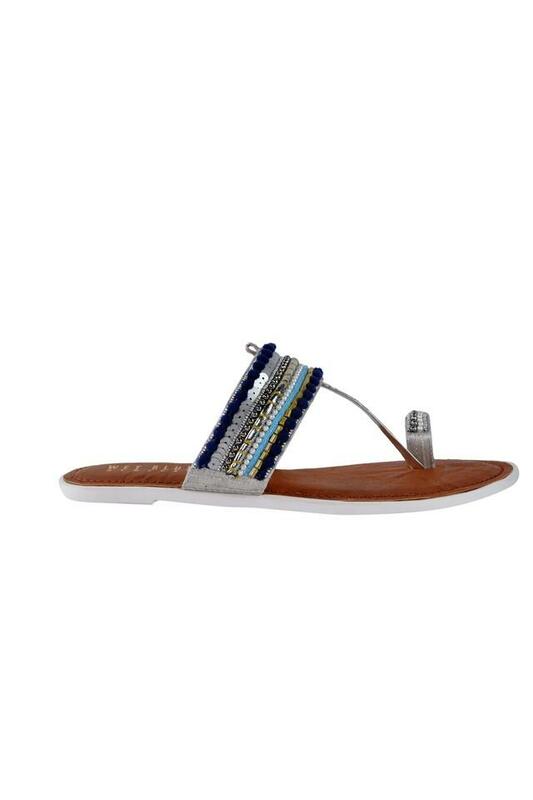 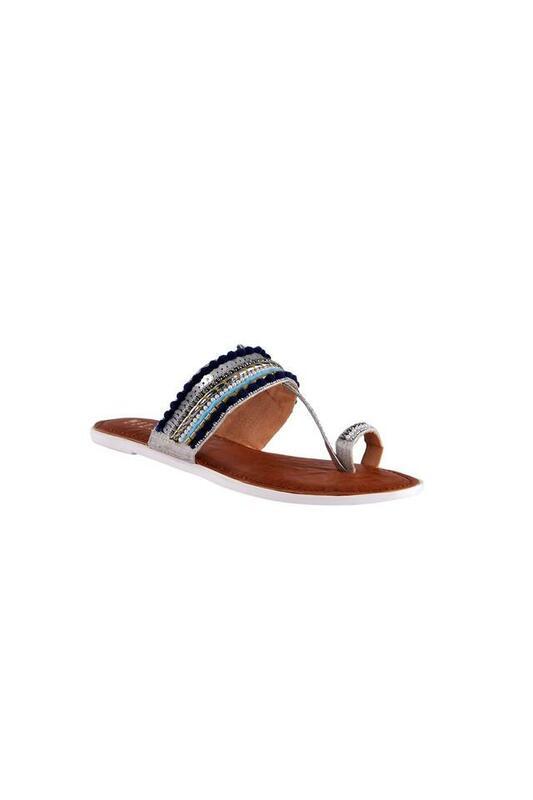 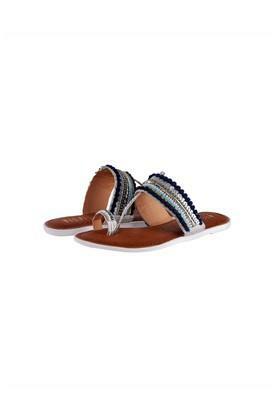 Add spark to your footwear collection with this pair of flat sandals from Wet Blue. It has been tailored with care using synthetic material that ensures an easy maintenance. In addition, its sole is crafted from thermoplastic rubber, which makes it slip resistant. 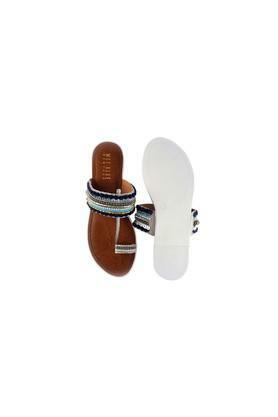 The strap features a pom pom and beads detailing that further gives it a distinctive look. 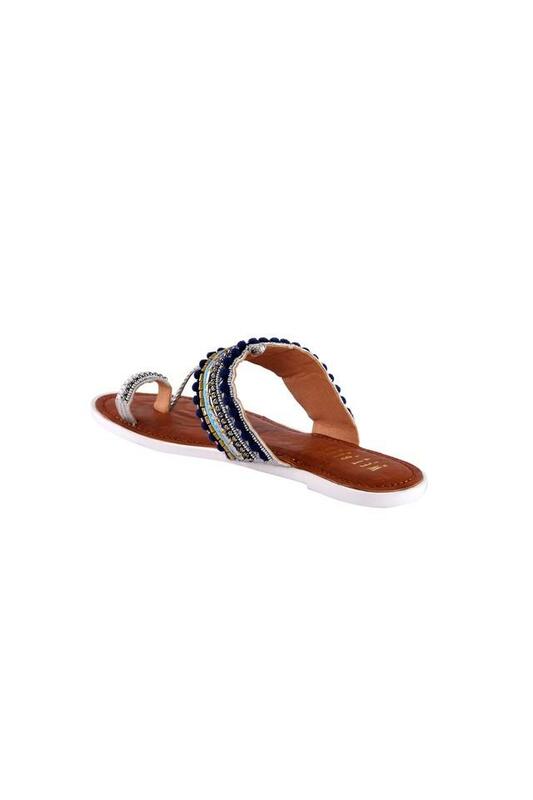 Jazz up your style quotient by wearing this pair of flat sandals for any casual occasion. 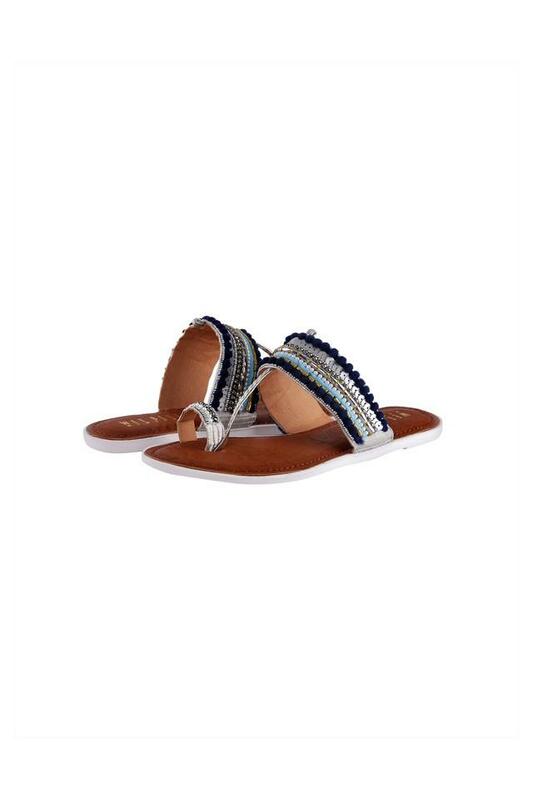 You can team it with a pair of jeans and a top to complete your look.